Thanks to Steve McQueen and “Le Mans” movie it became an icon – we take a closer look at the modern incarnation of the TAG Heuer Monaco: Calibre 12. 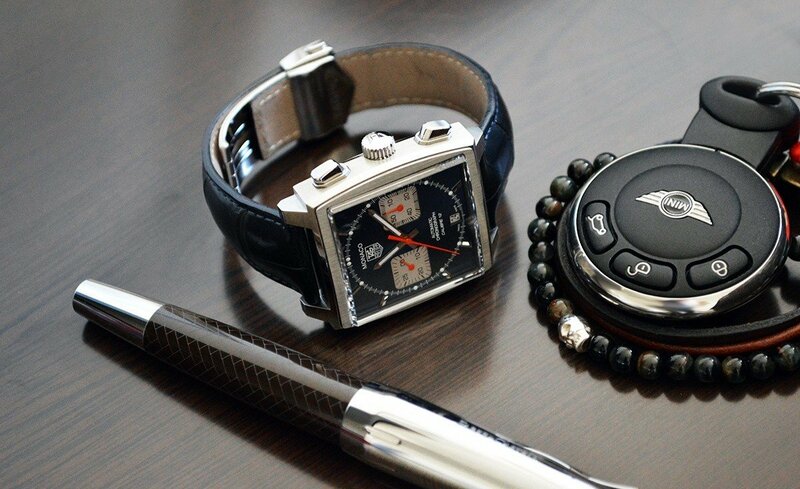 The last century brought a lot of timepieces regarded by watch-enthusiasts as the “icons”. In some cases that was because of design, history and quality, and in others by all of these factors flavoured with a large dose of marketing. 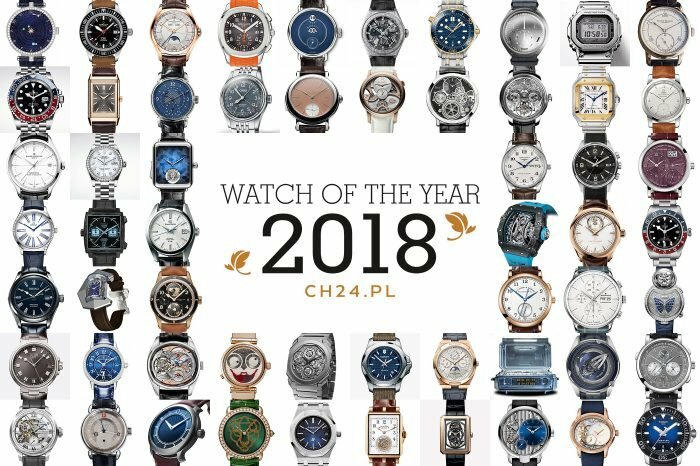 For me this group of watches, in addition to timepieces like Rolex Submariner, Audemars Piguet Royal Oak, IWC Big Pilot’s and Patek Philippe Nautilus, also includes TAG Heuer with its model – Monaco. 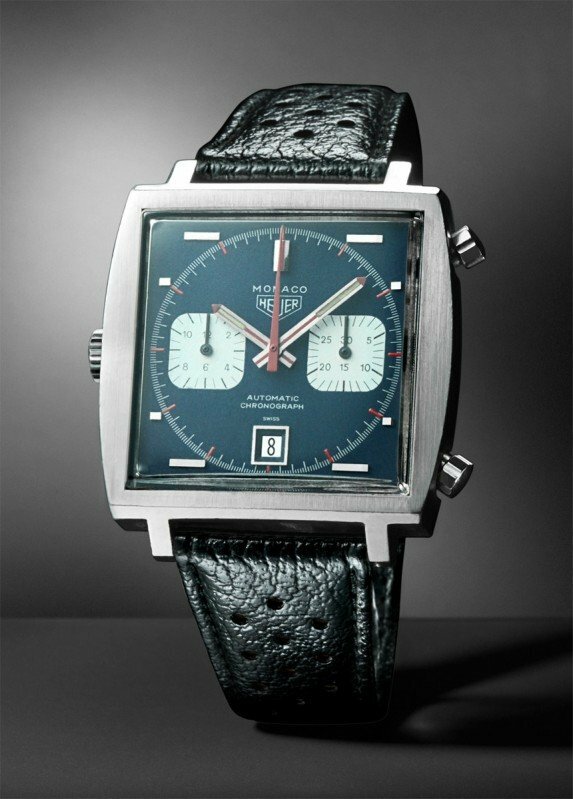 The origins of the brand dates back to 1860, when Edward Heuer decided to open his first studio in Switzerland. Love for the sport has made him focus on creating mechanical tools which would allow to make the most accurate – at that time – measurements possible. This passion, combined with knowledge, resulted in a number of solutions, some of which were patented. 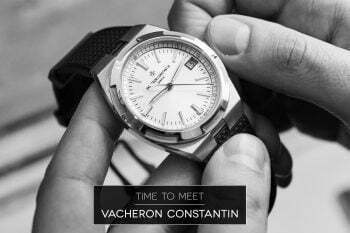 And perhaps most importantly the brand began to associate – and is associated today – with the production of high-precision chronographs. 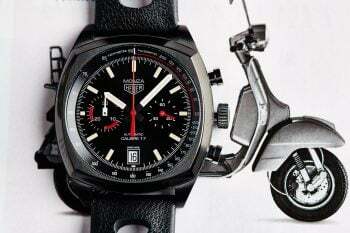 The evidence of this innovative spirit, proven by the fact that competitors do not have much chance in this field with TAG Heuer, are models such as: Mikrograph, Mikrotimer (2011) and Mikrogirder (2012). The last piece allows – mechanically! – to measure time with an accuracy of 5/10.000 of a second! 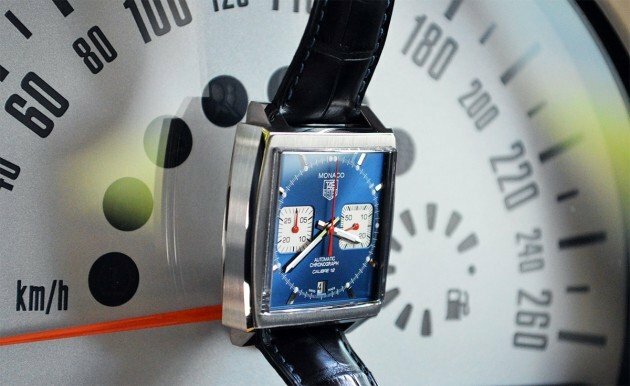 Change of the brand’s name to TAG Heuer took place in 1985, when Techniques d’Avant Garde (TAG), a company producing high-tech components for Formula 1 cars, decided to merge with the manufacturer of watches – including precision chronographs. Nowadays, the brand is the part of the LVMH group, uniting “bigwigs” such as Hublot, Zenith, Louis Vuitton, Fendi, Guerlain, Marc Jacobs, Dom Perignon, Hennessy and Bvlgari. Debuting in 1969, Monaco owes its name to the famous auto racing, however, the popularity and its recognition came less than two years later, with the film entitled “Le Mans”. It also went down in the history as the first automatic chronograph and the first waterproof watch in a square case. Unfortunately soon (as early as around 1975) it fell into oblivion… The brand decided to revive the model about two decades later. This review will focus on the version manufactured since 2009. 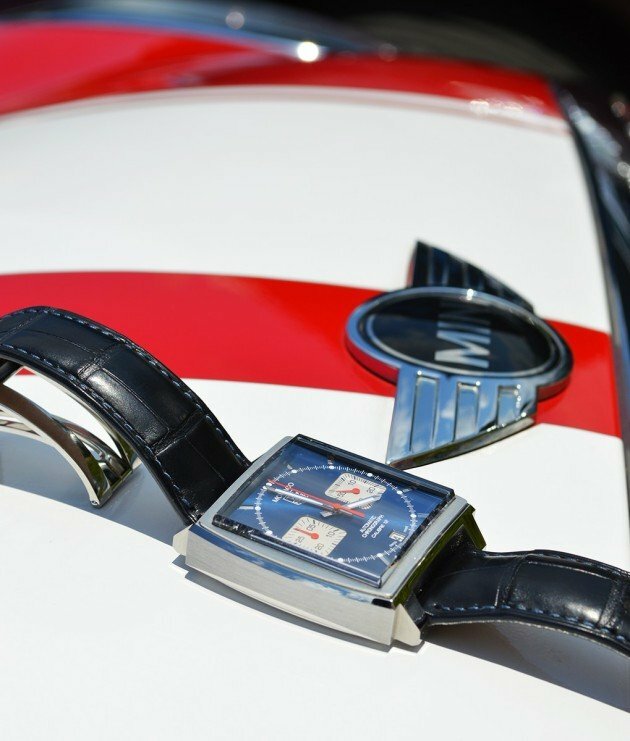 Mechanically, the roots of Monaco are marked by the Calibre 11, with which the watch was released back in 1969. This movement was quickly replaced with the Calibre 11-I, and in 1971 with the Calibre 12. In the last case, the base movement was a Buren calibre, with the chronograph module made by Dubois-Depraz. The main downside of the construction was the lack of second hand. Imagine that you’re looking at the dial of a sports watch with numerous hands and… nothing but a slow minute hand is moving. Nightmare and boredom! Calibre 12, produced since 2009, solved that problem: one of the counters has given its way to a small second. Keep in mind that the modern Calibre 12 (ETA 2892 with Dubois Depraz chronograph module) has nothing to do with that of the 70’s (Chronomatic Calibre 12). The reviewed model’s reference number is CAW2111.FC6183. Steel, 39mm casing in the shape of a square with a rounded edges. The Calibre 12 ticks with a standard frequency of 4Hz (28,000 A/h) and, unfortunately, has a very poor power reserve – only 40 hours. The watch is water resistant to 100 meters and completed with a blue alligator leather strap (that is a perfect match to the dial – more on this later). Visually, many people think that the TAG Heuer Monaco is identical to the original Heuer Monaco. To debunk this myth, just combine the two models side by side. At first glance you may notice differences in the location and shape of indices, colour of the subdial hands, their applications or the date window “frame”. 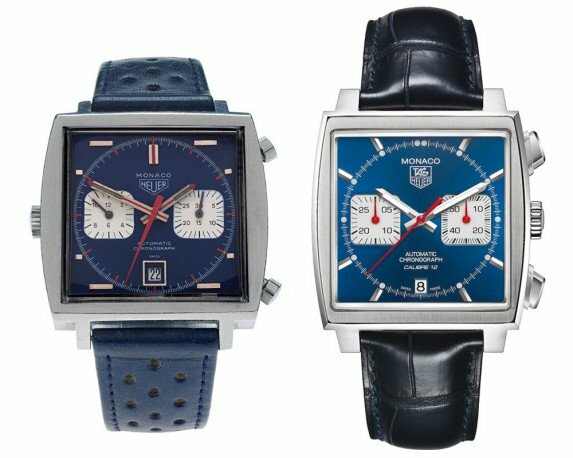 Subdials in the original model were 30-minute and 12-hour counters – the subsequent Monaco has a 30-minute counter and small seconds dial. Chronograph buttons were originally round, and the re-edition received rectangular ones. The case contour is not the same as well – the version from the past is more “rounded” on the sides, which is why the modern TAG Heuer Monaco seems to be a true, firm square. Often success comes unexpectedly and is changing our lives – like the touch of the invisible magic wand. Heuer Monaco had such luck. In this case, you can even name it – Steve McQueen. 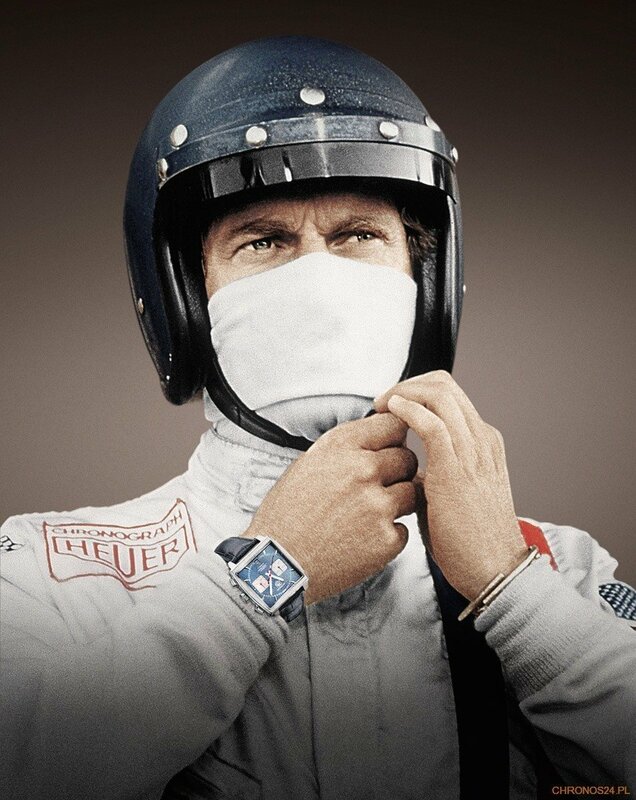 The well-known actor decided to wear this exact model in the quite a popular film “Le Mans”, screened in 1971 (the picture tells the story of the famous 24-hour race on the France’s most famous racing track). 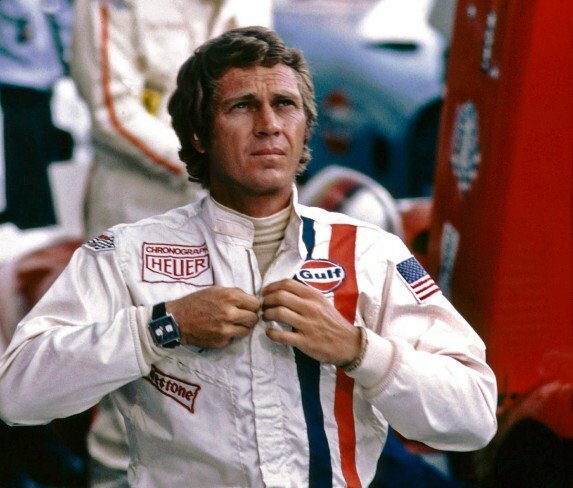 McQueen’s watch, and in fact one of his watches (the production of “Le Mans” reportedly used 4 pieces) comes up from time to time at auction arousing emotions and achieving very high bids. In 2012 it was sold for an astonishing 799,500$! The piece worn by the American actor (ref. 1133B) differs slightly from the reviewed. It has a larger case (40.4x38mm), a glass made of Plexiglas (Perspex) and a solid caseback. You can see it live in the TAG Heuer’s own little museum in Le Locle. When buying a car some time ago I had to fill a survey in which one of the questions was: “With what adjective would you describe a car you bought?”. 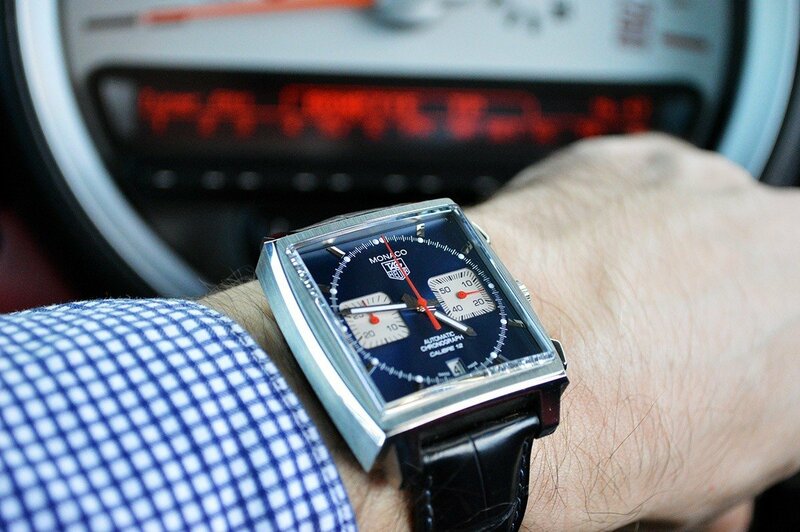 If you want to ask the same question about the TAG Heuer Monaco, few positive words come to my mind like: a cheerful, iconic, distinctive, timeless or simply – cool! 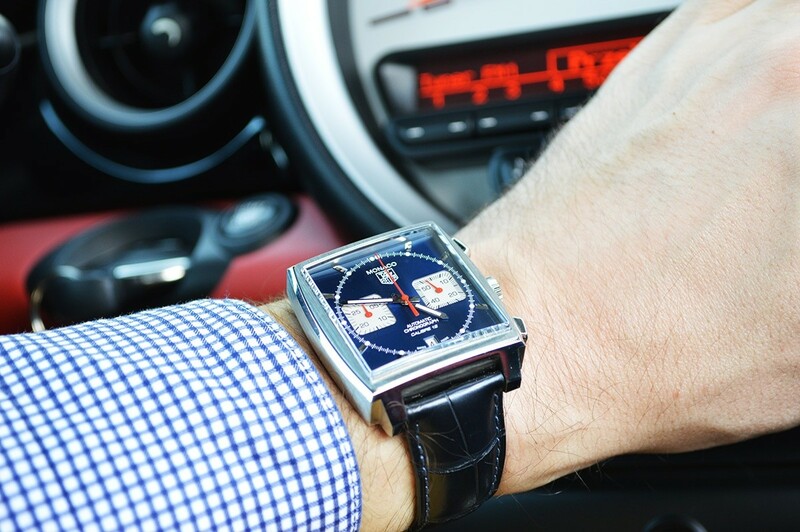 Thanks to its colour and shape of the case it can’t be confused with any other timepiece out there. I’ve been using it for some time and still love it. In fact I still smile while putting it on my wrist. The steel case is almost entirely brushed. 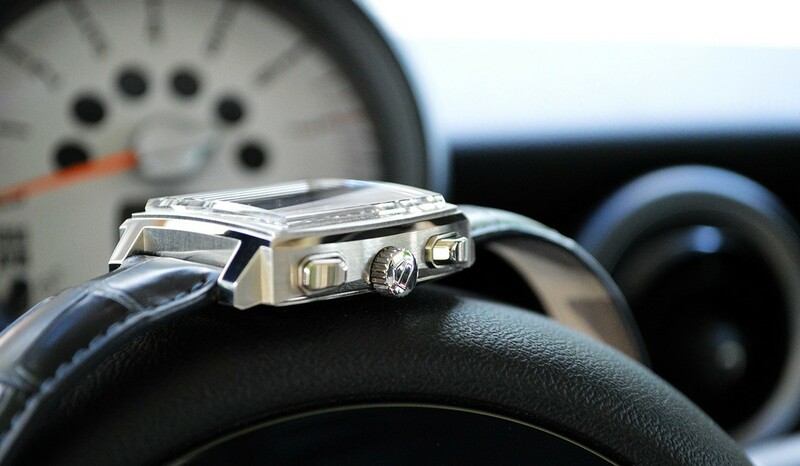 The only polished parts are beveling of the edges, most of the lugs, crown and chronograph buttons side part. The dial – shimmering in different shades of blue – is very consistent despite numerous indications, legible and has the unique old-school appearance. You’ll find on it two square subdials (with rounded corners): one is a small second (at 3 o’clock) and the other is 30-minute counter (at 9 o’clock). In both cases they have bloody-red-coloured small hands. The other two – hour and minute hands – are steel and filled with luminova. The glowing material can also be found around hour indices. Unfortunately the luminescence is not the strongest point of the watch – it barely gives light visible in the dark, and it glows for only quite short period of time. The advantage for this on the other hand is that the white dots of light-emitting substance on the dial look good during the day. 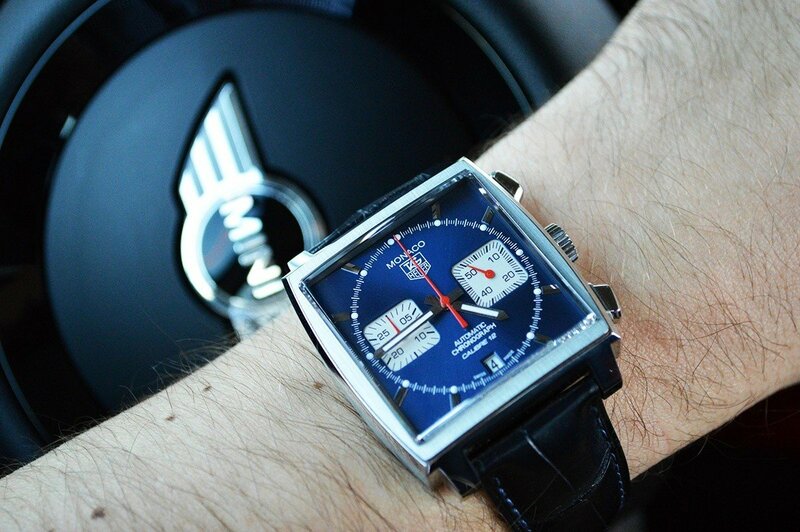 The inscription MONACO with TAG Heuer logo is located at 12 o’clock. The date window appears on the opposite side, realized as a white disk with black numbers. Unfortunately this is one of the weakest point of the watch. It often happens that during the date change the correct number jumps straight into the middle of the window. What can you do with it – especially when you’re a perfectionist like me? You’re simply getting annoyed! 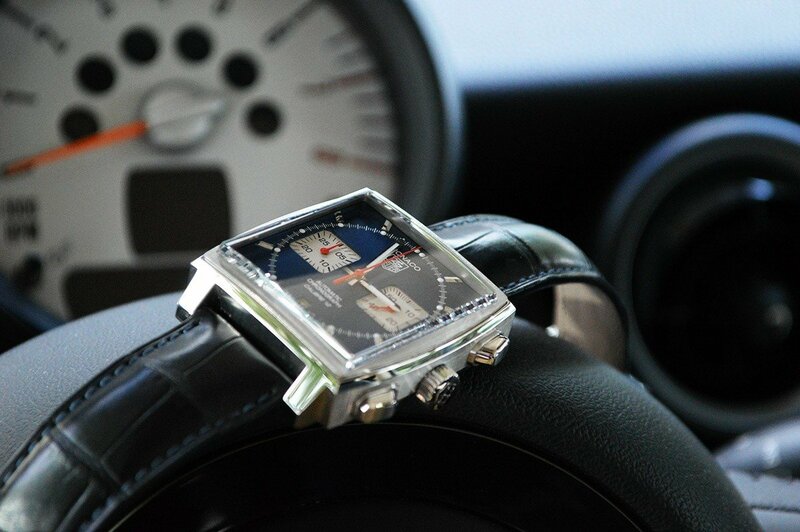 From the top all is secured by the domed sapphire crystal, protruding above the surface of the case. Visually, it looks nice, but you should keep in mind that it is more vulnerable to damage this way. 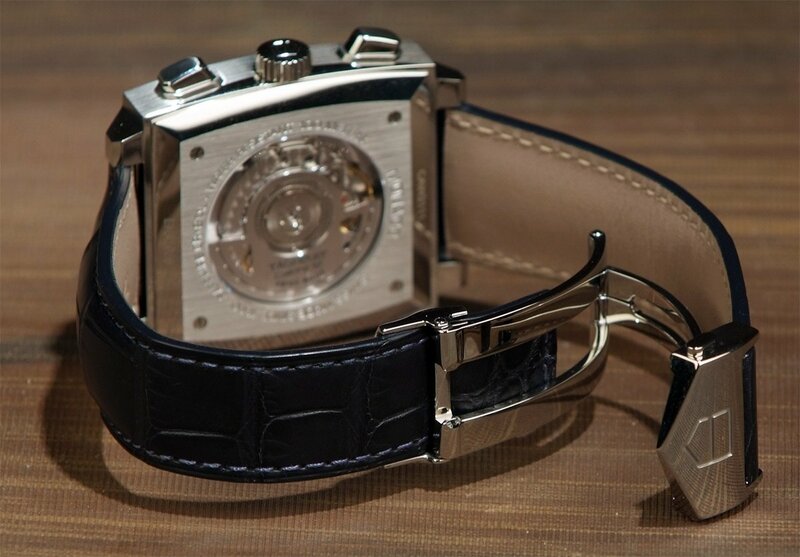 On the other side you’ll find a steel (screwed with four screws) caseback with circular sapphire glass window. This allows to see how aforementioned Calibre 12 works. 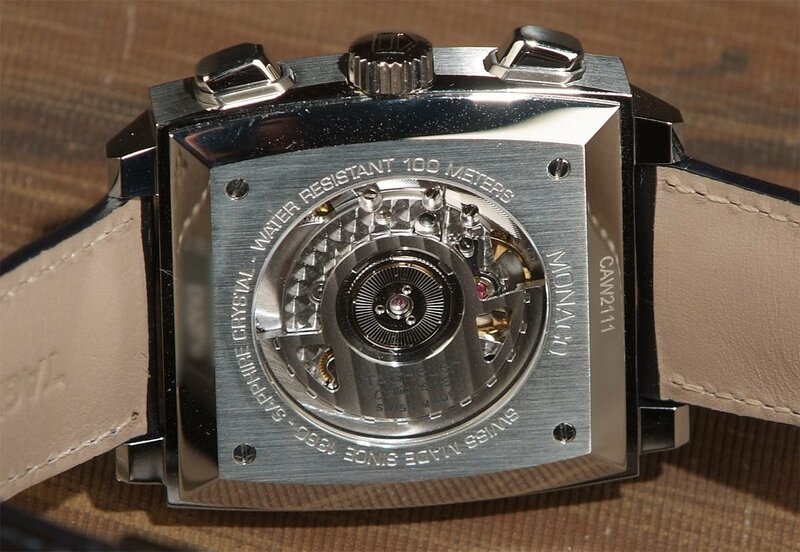 This movement certainly is not the top-class calibre, but decorations are pretty decent – for example: grained baseplate and oscillating weight with cut-out elements decorated with Geneva stripes. 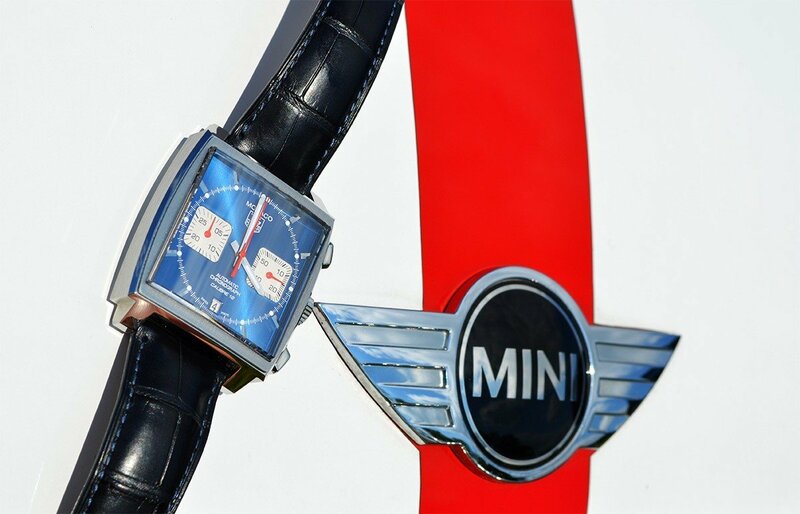 The watch comes on the blue alligator leather strap with a steel butterfly clasp with secure-buttons. And here we come to the next weak link. It often happens that when you try to snap the clasp, it bounces back – to the extent that sometimes only the fifth attempt succeeds. Fortunately, once well-fastened, the watch never did open by itself. Signed with a TAG Heuer logo, clasp has its unquestionable plus – allows you to change the length of the strap very quickly and easily. 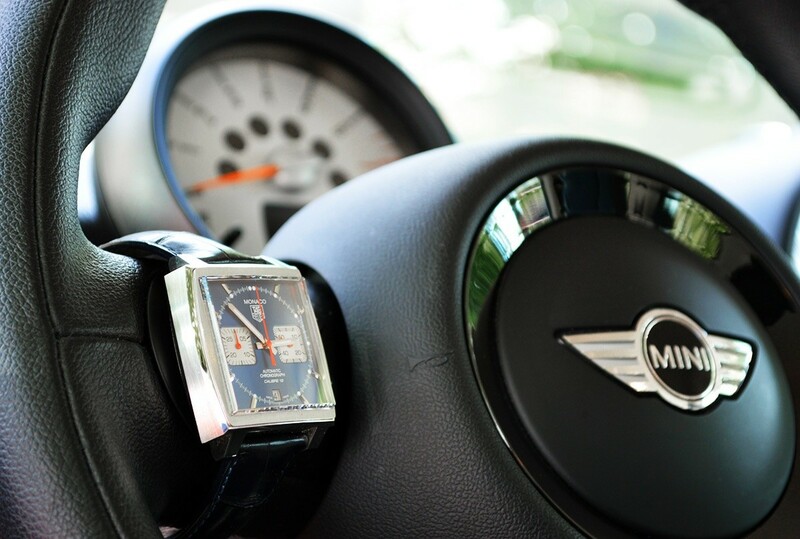 Sometimes it is just that, at a mare glance, you may “fall in love” with a watch. Often it turns out that it wasn’t love, but just an infatuation that after a few days or weeks passed, condemning the timepiece to the monotonous life in a watchwinder. 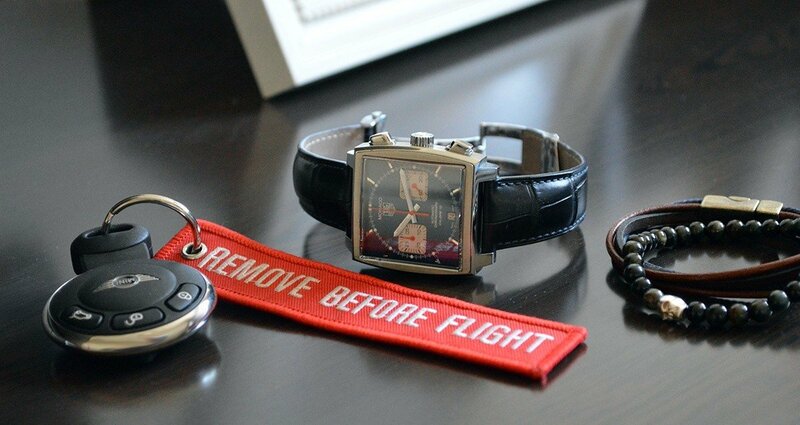 In case of the TAG Heuer Monaco it is absolutely out of the question. The watch strongly stands out from the crowd, and the combination of colours plus many different details makes every day a new discovery. 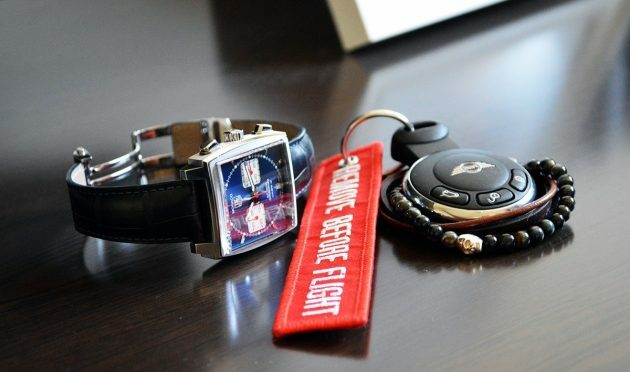 And as watch lovers, to some extent, that is also what we want.